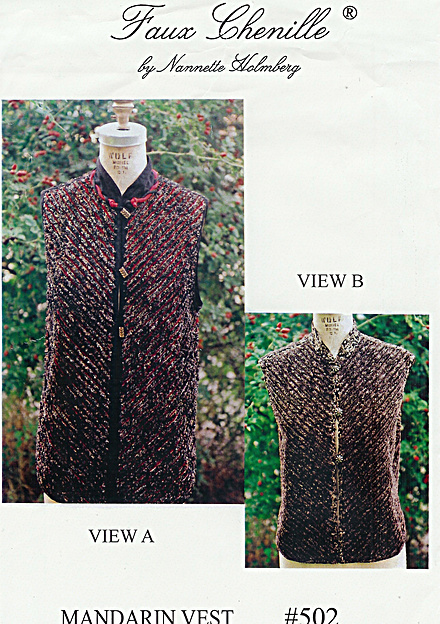 Plush chenille manndarin style vest in two lengths. Vest has mandarin collar and rounded slit side detail with corded fi finished on neck edge and button closure. Sugested favric 100% rayon,soft cottons with loose weave as 100% cotton flannels, madras plaids, osnaburg.